In an expansive article on critical thinking, Rich Ganske critiques Matt Matthews’ We Were Caught Unprepared: The 2006 Hezbollah-Israeli War. He makes many great points, but one aspect of his criticism exaggerates the effect of the text’s use instead of focusing on a more important aspect of developing critical thinking — the instructor. Ganske’s claim is that Matthew’s piece is flawed because it leaves the reader with the impression that the critiques of EBO are the reason for the IDF's failures. Therefore, he holds that the papers’ use in the professional military education curriculum for the U.S. Army’s field grade officers is detrimental to their ability to exercise critical thinking. But this assertion relies on an assumption about how the text is both presented and received by students. This claim requires that the document be presented as the accurate and complete explanation of Israel’s poor performance and that students in a ‘critical thinking’ course be expected to not examine or question the information presented to them, but blindly accept it without consideration. These assumptions are a leap too far in most cases. The text, though the only specific case study used within the critical thinking portion of the program as Ganske notes, is still only one piece among many used in that module. Matthews’ piece is used in the context of a larger discussion of critical thinking and is not presented as the “text alone without additional caveat or even contrast” but as merely one perspective. It is used as the beginning of a discussion, rather than the end of one. Further, simply because it is the first and only case study used in the short critical thinking module, this does not mean every case study used after that module is not designed to encourage critical thinking as well. Ganske’s statement that this text is the sole example analyzed for critical thinking in a professional military education program is true only if one believes that critical thinking in the program ends with the conclusion of the critical thinking module. The module is meant to introduce concepts and methods, but the application of these does not cease when it is over. The idea is to continue developing the skills introduced and apply them throughout the entire program. The module is simply one part of a greater whole. In fairness to Ganske’s assertions, it should be noted that the quality of instruction can vary significantly between seminars. Learning experiences are far more dependent on one’s classmates and small group leaders than on the texts and lesson plans. Classmates are generally diverse with differing perspectives. The question is whether the seminar is run in such a manner as to allow discussion and debate, to encourage critical thinking, or whether it is run as a lecture in which students are there to be taught what to think. The real center of gravity is the instructor. So perhaps Ganske’s experience in the course was more lecture-oriented. Perhaps his seminar had Matthews’ work was presented as the sole explanation of the IDF’s failures rather than as a tool for students to “question where and how you get the information upon which you base your decisions” as is intended. Perhaps the seminar was not run in such a manner as to allow for other perspectives or arguments against Matthews’ interpretation. These scenarios are not implausible and would be dependent on the instructor facilitating that course. I was fortunate in that this was not my personal experience in the program. As such I found Matthews’ document to be useful. But I happened to be assigned to a seminar with a superb group of instructors. Two of these instructors saw a flawed ethics module and were granted permission to teach a redesigned course of their own creation in its place. The course was engaging, thought provoking and refreshing when compared to typical Army ethical instruction. It was perceived as highly valuable by those of us who participated and comparisons with the experiences of other students who took the standard course reaffirmed our seminar’s appreciation for the initiative of these instructors. Later, after completing a two-day kriegspiel that was by far one of the most valuable learning experience in the entire program, we discovered that this was not a standard part of the curriculum, but was created entirely by our small group leader and used only in his seminars. We thought it and the history courses were probably the most important instruction in the entire program, and the way both were executed made them just as valuable in developing critical thinking as the actual critical thinking module, if not more so. My experiences were not unique, but unfortunately they were not standard either. So, in examining the program and the aspect of critical thinking development in particular, what is important is how the instruction is presented and received. In fact, any text, in the hands of a good instructor, can be used to teach critical thinking. The selection and education of instructors is the critical factor. I agree with Ganske about the importance of critical thinking, but we must go beyond the text. If we truly wish to address critical thinking in professional military education, then we need to examine who is teaching and how they are teaching. We must have instructors who are good at critical thinking, and can also teach. 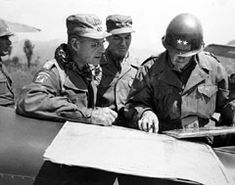 There are parallels to mission command. Just as the same instructors who taught normaltaktik cannot teach auftragstaktik, the instructors who have spent a lifetime teaching students ‘what to think’ cannot be the ones to teach them ‘how to think.’ Simply handing a new lesson plan and new texts to an instructor does not mean he will be able to effect learning in the students. Additionally, critical thinking cannot be a course that is completed and then all other subjects are presented in a manner that that neglects it. To truly teach critical thinking, all courses must be delivered in a manner that requires and encourages it. More emphasis must be placed on getting the right people in instructor jobs and on educating those entering instructor roles in how to teach. But in assessing how we develop and improve critical thinking, it must be noted that doing so at intermediate level education is already far too late. This should be happening from initial professional military education courses, as has been alluded to in this recent commentary by Matthew Cavanaugh. Specifics of how to implement these changes are well documented in the works of Jorg Muth and Don Vandergriff, which emphasize not just critical but creative thinking as well. The good news is that many of the changes require a shifting of resources rather than acquiring more, which is especially important under current budgetary schemes. Success will largely hinge on the willingness of the various services (critical thinking is important in all domains) to make significant changes. This is a goal that may be even more elusive than increased funding, however. If that is so, then the product of the U.S. professional military education programs will continue to be largely the result of the quality going in and luck in who facilitates instruction, thus remaining inconsistent. Newer PostWar Games What Will Be Our Next Conflict?